Advancing the Web to Empower People: Challenges and Solutions from Web Foundation on Vimeo. This video summarizes the vision of the World Wide Web Foundation and provides one example of the work we are doing in Africa to empower farmers through the Web. Many thanks to our funder and partner, VU University, Amsterdam, and our other partners in W4RA, for their support in this particular initiative. The Web Foundation is a new international non-profit organization founded by the inventor of the Web, Sir Tim Berners-Lee. The mission of the Foundation is to "advance the Web to empower people". Why a "Web Foundation"? Communication, collaboration and creativity are critical to social and economic empowerment. The Web is the most powerful means for communication, collaboration and creativity in history. However, the Web is only being used by 1/4 of the Earth's population. The continued growth and advancement of a free and open Web are not guaranteed. There is much work to be done. The Web Foundation works to catalyze global support for the Web, build local capacity to create accessible content, and promote research that accelerates the ability for individuals and organizations to harness the Web to address major societal challenges. In this video, the work of the Foundation is illustrated with the story of how we are working to empower farmers in the Sahel region of sub-Saharan Africa. Through Web applications on mobile phones, community radio, ingeniously-simple agricultural techniques developed by a small number of local farmers can be quickly shared with the vast majority of farmers who need this knowledge to grow crops in arid environments. By recording the traces cosmic rays make as they pass through, the AMS might uncover a universe that is now invisible. Although Ting is hesitant to make predictions about what the instrument will find, he said the instrument was designed with dark matter and antimatter in mind. Very little is known about dark matter although it makes up an estimated 90 percent of the mass in the universe. Although Earth-based facilities have been built to create powerful streams of subatomic particles, Ting said their limits are more than 14 million times weaker than the power produced by cosmic rays in space. "No matter how large an accelerator you build, you're not going to compete with space," Ting told reporters recently. Ting offered the news media a close look at the AMS before it was packed for loading into Endeavour's cargo bay for launch. Thanks for your clarity and your whole comment. It help to restore some of my faith based on truth objectification of the place we are currently at, with the views you have shared of our society. Our status. I was confusing some signs within our society of a progression of sorts with the ideas of technology advancements, yet there was little done on the human species itself in terms of that psychology. Stressing the value of an IQ above the ideas I have about the EQ, how our society can escape that abstraction of being without attaching the human values seen in computerization development was a case i point about the development of those technologies. Did we want automatons what ever their guise to be the sheople of a society that looks at us no more then, cold and unsympathetic as sentient beings whatever our shapes. I mean what I had proposed of the Greys is unsettling to me, that such a servant of society could have been created which does no more then the bidding of that civilization. What it was designed for. Even this idea is alien in that what I might have thought about as this dysfunction of our society could have been seen as a resource based on the objectification and goals of some alien civilization, is really my primitive mind looking at it. I would want to think that spiritually the advancements in our psychology makeup would be the advance to those degrees of that civilization could have developed too, that we would in part be develop our societies here on earth. Seven billion inhabitants on this earth......what would one put before them that such progressions would be to excel our civilizations as a family toward the future? Introduce some new religion, some corporate ideal, or something that is new to the peoples as to join them toward that future of sharing and growth, as potentials of us as beings? 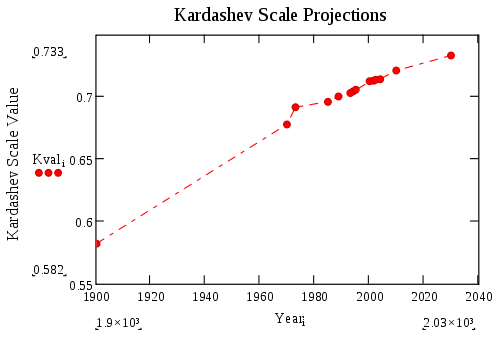 Kardashev scale projections for human civilization ranging from years 1900 to 2030, based on data from the International Energy Agency World Energy Outlook.The Kardashev scale is a method of measuring an advanced civilization's level of technological advancement. The scale is only theoretical and in terms of an actual civilization highly speculative; however, it puts energy consumption of an entire civilization in a cosmic perspective. It was first proposed in 1964 by the Soviet Russian astronomer Nikolai Kardashev. The scale has three designated categories called Type I, II, and III. These are based on the amount of usable energy a civilization has at its disposal, and the degree of space colonization. In general terms, a Type I civilization has achieved mastery of the resources of its home planet, Type II of its solar system, and Type III of its galaxy. The original and the final draft for this particular scale had energy consumptions ranging so widely from each other, that Kardashev himself revised the scale as to include values between, in hundredths. The human civilization as of 2010 is currently somewhere around 0.72, with calculations suggesting we may attain Type I status in about 100–200 years, Type II status in a few thousand years, and Type III status in about 100,000 to a million years. 6.4 Above Type III/ "Type IV"
Energy is a static quantity and is denoted in joules. Power is a measure of energy transfer over time, and is denoted in watts (joules per second). 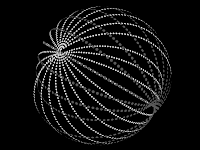 The three levels of the Kardashev Scale can be quantified in units of power (watts) and plotted on an increasing logarithmic scale. Type I — a civilization that is able to harness all of the power available on a single planet — has approximately 1016 or 1017 W available. Earth specifically has an available power of 1.74 ×1017 W (174 peta watts, see Earth's energy budget). Kardashev's original definition was 4 ×1012 W — a "technological level close to the level presently attained on earth" ("presently" meaning 1964). Type II — a civilization that is able to harness all of the power available from a single star, approximately 4 ×1026 W. Again, this figure is variable; the Sun outputs approximately 3.86 ×1026 W. Kardashev's original definition was also 4 ×1026 W.
Type III — a civilization that is able to harness all of the power available from a single galaxy, approximately 4 ×1037 W. This figure is extremely variable, since galaxies vary widely in size; the stated figure is the approximate power output of the Milky Way. Kardashev's original definition was also 4 ×1037 W.
where value K is a civilization's Kardashev rating and MW is its power output in megawatts. Sagan used 10 terawatt (TW) as the value W for 1973's humanity, which was somewhat higher than present data suggests. This overestimation results in a change of 0.01 in the Kardashev value (see table below). As of 2007, the Kardashev rating is approximately 0.72, calculated using BP's primary energy consumption chart for 2007. It is important to note that as Sagan's Kardashev rating is base-10-billion logarithmic, a value of 0.72 means we are using approximately 0.16% of the total available planetary energy budget. The baseline value, K = 0, can be imagined as the status of an early civilization with the manual labor of ~10000 adults, or with a team of ~1000 horses (see orders of magnitude). Large scale application of fusion power. According to mass-energy equivalence, Type I implies the conversion of about 2 kg of matter to energy per second. While there is no known method to convert matter (by itself) completely into energy, an equivalent energy release could theoretically be achieved by fusing approximately 280 kg of hydrogen into helium per second, a rate roughly equivalent to 8.9 × 109 kg/year. A cubic km of water contains about 1011 kg of hydrogen, and the Earth's oceans contain about 1.3 × 109 cubic km of water, meaning that this rate of consumption could be sustained over geological time scales. Antimatter in large quantities would have a mechanism to produce power on a scale several factors above our current level of technology. In antimatter-matter collisions, the entire rest mass of the particles is converted to kinetic energy. Their energy density (energy released per mass) is about 4 orders of magnitude greater than that from using nuclear fission, and about 2 orders of magnitude greater than the best possible yield from fusion. The reaction of 1 kg of anti-matter with 1 kg of matter would produce 1.8 × 1017 J (180 petajoules) of energy. Although antimatter is sometimes proposed as a source of energy, this is infeasible. Any naturally occurring antimatter would have long annihilated before it could be harvested. Artificially producing antimatter involves first converting energy into mass, so there is no net gain. Antimatter is only usable as a medium of energy storage but not as an energy source. Solar energy through converting sunlight into electricity by either solar cells and concentrating solar power or indirectly through wind and hydroelectric power. Currently, there is no known way for human civilization to successfully utilize the equivalent of the Earth's total absorbed solar energy without completely coating the surface with man-made structures, which is presently not feasible. However, if a civilization constructed very large Space-based solar power Satellites, Type I power levels might be achievable. 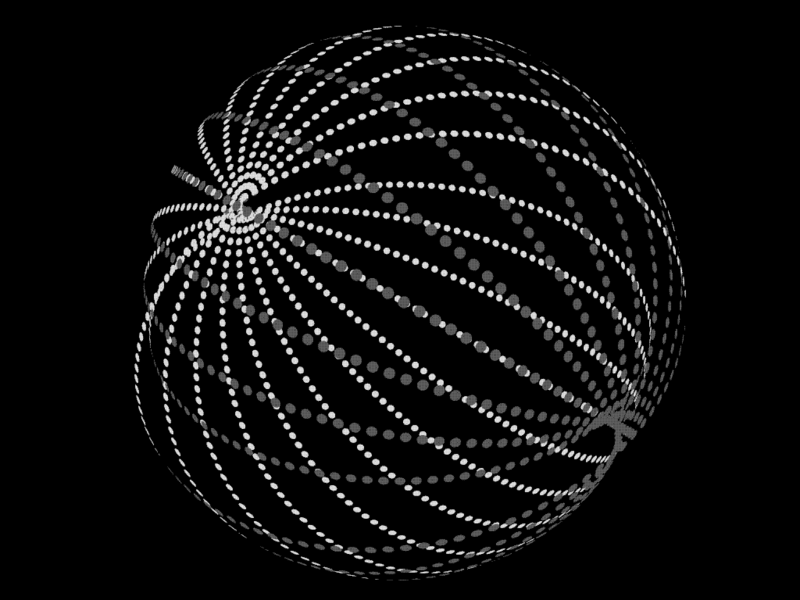 A Dyson sphere or Dyson swarm and similar constructs are hypothetical megastructures originally described by Freeman Dyson as a system of orbiting solar power satellites meant to completely enclose a star and capture most or all of its energy output. Perhaps a more exotic means to generate usable energy would be to feed a stellar mass into a black hole, and collect photons emitted by the accretion disc. Less exotic would be simply to capture photons already escaping from the accretion disc, reducing a black hole's angular momentum; known as the Penrose process. In multiple-star systems of a sufficiently large number of stars, absorbing a small but significant fraction of the output of each individual star. Type III civilizations might use the same techniques employed by a Type II civilization, but applied to all of the stars of one or more galaxies individually. They may also be able to tap into the energy released from the supermassive black holes which are believed to exist at the center of most galaxies. There are many historical examples of human civilization undergoing large-scale transitions, such as the Industrial Revolution. 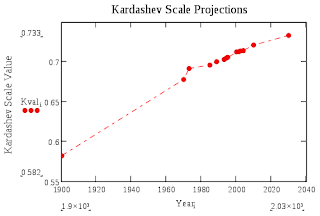 The transition between Kardashev scale levels could potentially represent similarly dramatic periods of social upheaval, since they entail surpassing the hard limits of the resources available in a civilization's existing territory. A common speculation suggests that the transition from Type 0 to Type I might carry a strong risk of self-destruction since, in some scenarios, there would no longer be room for further expansion on the civilization's home planet, similar to a Malthusian catastrophe. Excessive use of energy without adequate disposal of heat, for example, could plausibly make the planet of a civilization approaching Type I unsuitable to the biology of the dominant life-forms and their food sources. If Earth is an example, then sea temperatures in excess of 35 °C would jeopardize marine life and make the cooling of mammals to temperatures suitable for their metabolism difficult if not impossible. Of course, these theoretical speculations may not become problems in reality thanks to the application of future engineering and technology. Also, by the time a civilization reaches Type I it may have colonized other planets or created O'Neill-type colonies, so the amount of waste heat could be distributed throughout the solar system. The sub-Type I state that human civilization currently occupies was not originally included in the Kardashev scale but is now referred to as "Type 0" or by its K value using Sagan's logarithmic formula (described above). Zoltan Galantai has defined a further extrapolation of the scale, a Type IV level which controls the energy output of the visible universe; this is within a few orders of magnitude of 1045 W. Such a civilization approaches or surpasses the limits of speculation based on current scientific understanding, and may not be possible. Frank J. Tipler's Omega point would presumably occupy this level, as would the Biocosm hypothesis. Galantai has argued that such a civilization could not be detected, as its activities would be indistinguishable from the workings of nature (there being nothing to compare them to). However, Milan M. Ćirković has argued that "Type IV" should instead be used to refer to a civilization that has harnessed the power of its supercluster, or "the largest gravitationally bound structure it originated in." For the Local Supercluster, this would be approximately 1042 W.
Dr. Michio Kaku has discussed a type IV civilization, which could harness "extragalactic" energy sources such as dark energy, in his book Parallel Worlds. In contrast to simply increasing the maximum power level covered by the scale, Carl Sagan suggested adding another dimension: the information available to the civilization. He assigned the letter A to represent 106 unique bits of information (less than any recorded human culture) and each successive letter to represent an order of magnitude increase, so that a level Z civilization would have 1031 bits. In this classification, 1973 Earth is a 0.7 H civilization, with access to 1013 bits of information. Sagan believed that no civilization has yet reached level Z, conjecturing that so much unique information would exceed that of all the intelligent species in a galactic supercluster and observing that the universe is not old enough to effectively exchange information over larger distances. The information and energy axes are not strictly interdependent, so that even a level Z civilization would not need to be Kardashev Type III. The humans from Stargate Universe where they use the power of the planet Icarus, with a crust containing massive amounts of a power-generating element, to route enough power to the Stargate to encode or dial the ninth chevron, in contrast to normal intragalactic, seven-chevron addresses and intergalactic eight-chevron addresses. This allowed the gate to open to the Ancient's ship Destiny, which had been travelling for many millennia under solar power and had travelled through hundreds of galaxies other than our own. The territory of Eelong in the Pendragon Series by D. J. MacHale utilizes all power from a belt of suns known as the Skaa. In the Star Trek: The Next Generation episode "Relics", the Enterprise discovers an abandoned Dyson shell, a special case of a Dyson sphere. 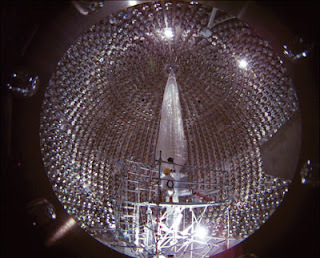 In Bob Shaw's 'Orbitsville', the giant sphere which encases a sun is presumed to have been built by using the output of the star itself. In the sequel, 'Orbitsville Departure', more spheres are confirmed and may escalate the builders to Type III. In Star Maker by Olaf Stapledon. The stellar energy output of the whole galaxy is utilized by the Galactic Community of Worlds. Above Type III/ "Type IV"
The backstory of The Dancers at the End of Time series by Michael Moorcock describes a civilization which consumed all the energy in all the stars in the universe, save Earth's own sun, in order to fuel an existence in which the inheritors of Earth lived as near omnipotent gods. In a rare mention of the scale within a work of fiction, the Doctor Who novel The Gallifrey Chronicles, a Time Lord named Marnal asserts that "the Time Lords were the Type-4 civilization. We had no equals. We controlled the fundamental forces of the entire universe. Nothing could communicate with us on our level." The Priors in the House of Suns by Alastair Reynolds could be placed as a Type IV, being surmised by one of the characters for being responsible for the apparent emptiness of the Boötes void some 250 million light years distance. The Xeelee in the Xeelee Sequence by Stephen Baxter. They modified their own history and have spread across the universe, typically being concentrated in the heart of galaxies where they use the black holes for their own purposes. Kardashev's theory can be viewed as the expansion of some social theories, especially from social evolutionism. It is close to the theory of Leslie White, author of The Evolution of Culture: The Development of Civilization to the Fall of Rome (1959). White attempted to create a theory explaining the entire history of humanity. The most important factor in his theory is technology: Social systems are determined by technological systems, wrote White in his book, echoing the earlier theory of Lewis Henry Morgan. As measure of society advancement he proposed the measure energy consumption of a given society (thus his theory is known as the energy theory of cultural evolution). He differentiates between five stages of human development. In the first stage, people use energy of their own muscles. In the second stage, they use energy of domesticated animals. In the third stage, they use the energy of plants (which White refers to as agricultural revolution). In the fourth stage, they learn to use the energy of natural resources - such as coal, oil and gas. Finally, in the fifth stage, they harness nuclear energy. White introduced a formula P=E×T, where P measures the advancement of the culture, E is a measure of energy consumed, and T is the measure of efficiency of technical factors utilizing the energy. It has been argued that, because we cannot understand advanced civilizations, we cannot predict their behavior; thus, Kardashev's visualization may not reflect what will actually occur for an advanced civilization. This central argument is found in the book Evolving the Alien: The Science of Extraterrestrial Life. On a more direct level, since the Kardashev scale rates a civilization according to how much energy it is capable of harnessing, it "penalizes" a civilization that invents ways of making more efficient use of the energy already available to it, instead of simply harnessing yet more energy. An extremely advanced civilization might also choose to forgo either the projects or the materialistic growth (expansion) humanity associates with high energy demand. Robert Zubrin uses the terms to refer to how widespread a civilization is in space, rather than to its energy use. In other words, a Type I civilization has spread across its planet, a Type II has extensive colonies in its respective stellar system, and a Type III has colonized the galaxy. ^ Kaku, Michio (2010). 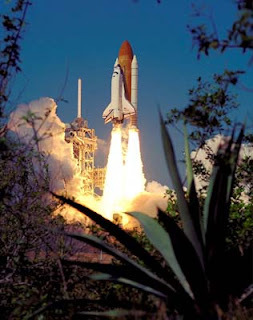 "The Physics of Interstellar Travel: To one day, reach the stars.". Retrieved 2010-08-29. ^ a b c Lemarchand, Guillermo A. Detectability of Extraterrestrial Technological Activities. Coseti. ^ a b c Kardashev, Nikolai (1964). "Transmission of Information by Extraterrestrial Civilizations" (PDF). Soviet Astronomy 8: 217. Bibcode 1964SvA.....8..217K. ^ a b Sagan, Carl (October 2000) . Jerome Agel. ed. Cosmic Connection: An Extraterrestrial Perspective. Freeman J. Dyson, David Morrison. Cambridge Press. ISBN 05-21-7830-38. Retrieved 2008-01-01. ^ "Key World Energy Statistics" (PDF). International Energy Agency. 2004. Archived from the original on 2006-05-24. Retrieved 2006-08-10. ^ Souers, P. C. (1986). Hydrogen properties for fusion energy. University of California Press. pp. 4. ISBN 978-0520055001. ^ Borowski, Steve K. (1987-07-29). "Comparison of Fusion/Anti-matter Propulsion Systems for Interplanetary Travel" (PDF). Technical Memorandum 107030. San Diego, California, USA: National Aeronautics and Space Administration. pp. 1–3. Retrieved 2008-01-28. ^ By the mass-energy equivalence formula E = mc². See anti-matter as a fuel source for the energy comparisons. ^ Dyson, Freeman J. (1966). "The Search for Extraterrestrial Technology". Perspectives in Modern Physics (New York: John Wiley & Sons). ^ Newman, Phil (2001-10-22). "New Energy Source "Wrings" Power from Black Hole Spin". NASA. Archived from the original on 2008-02-09. Retrieved 2008-02-19. ^ Schutz, Bernard F. (1985). A First Course in General Relativity. New York: Cambridge University Press. pp. 304, 305. ISBN 0521277035. ^ Kardashev, Nikolai. "On the Inevitability and the Possible Structures of Supercivilizations", The search for extraterrestrial life: Recent developments; Proceedings of the Symposium, Boston, MA, June 18–21, 1984 (A86-38126 17-88). Dordrecht, D. Reidel Publishing Co., 1985, p. 497–504. ^ Dyson, Freeman (1960-06-03). "Search for Artificial Stellar Sources of Infrared Radiation". Science (New York: W. A. Benjamin, Inc) 131 (3414): 1667–1668. doi:10.1126/science.131.3414.1667. PMID 17780673. Retrieved 2008-01-30. ^ Galantai, Zoltan (September 7, 2003). "Long Futures and Type IV Civilizations" (PDF). Retrieved 2006-05-26. ^ Milan M. Ćirković (February 2004). "Forecast for the Next Eon : Applied Cosmology and the Long-Term Fate of Intelligent Beings". Foundations of Physics (Springer Netherlands) 34 (2): 239–261. doi:10.1023/B:FOOP.0000019583.67831.60. ISSN (Print) 1572-9516 (Online) 0015-9018 (Print) 1572-9516 (Online). ^ Kaku, Michio (2005). Parallel Worlds: The Science of Alternative Universes and Our Future in the Cosmos. New York: Doubleday. p. 317. ISBN 0713997281. ^ "Afro - Hallawiki". Hallawiki.a.wiki-site.com. Retrieved 2010-09-19. ^ Moorcock, Michael: Tales From the End of Time, page 121. Berkley Publishing, 1976. ^ Parkin, Lance (2005). The Gallifrey Chronicles. BBC Books. p. 56. ISBN 0-563-48624-4. Rusinek, Marvin (1998). "Energy Consumption of Europe". The Physics Factbook. Holdren, John P.; Carl Kaysen (2003). 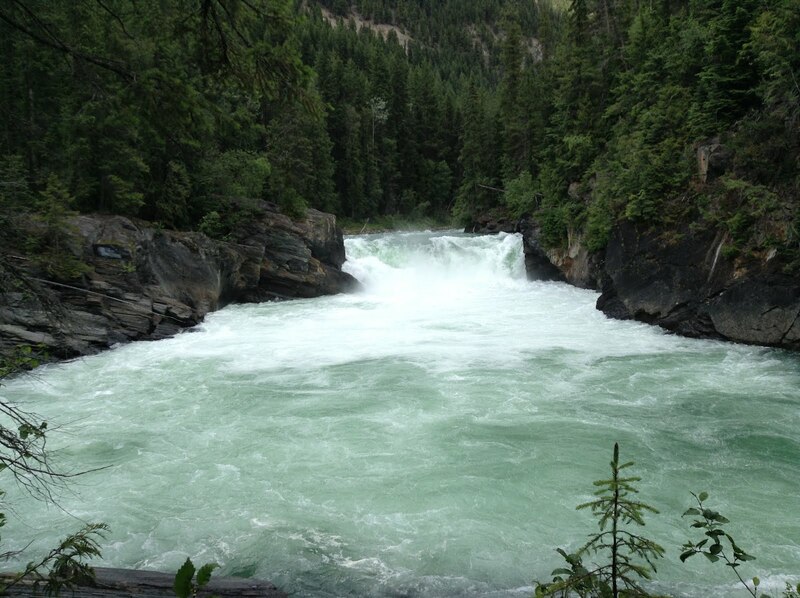 "Environmental Change and the Human Condition" (PDF). Bulletin Fall. pp. 24–31. Retrieved 2006-08-10. Dordrecht, D. (1985). "Exponential Expansion: Galactic Destiny or Technological Hubris?". In B. R. Finney, M. D. Papagiannis. 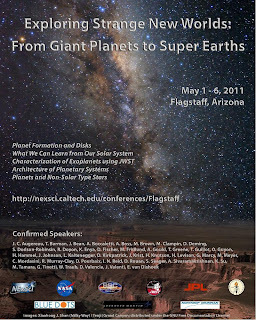 The Search for Extraterrestrial Life: Recent Developments. Reidel Publ. Co.. pp. 465–463. Korotayev, A.; Malkov, A.; Khaltourina, D. (2006). Introduction to Social Macrodynamics: Compact Macromodels of the World System Growth. Moscow: URSS. ISBN 5484004144. Kardashev, Nikolai (March 1997). "Cosmology and Civilizations". Astrophysics and Space Science 252. Freitas Jr., Robert A.. Energy and Culture (chapter 15). 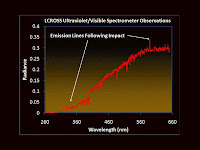 Data from the ultraviolet/visible spectrometer taken shortly after impact showing emission lines (indicated by arrows). These emission lines are diagnostic of compounds in the vapor/debris cloud. It is important that we establish an outpost on the moon in order to progress further out into the universe. A lot of work has to be done to venture further out, so that we may explore. 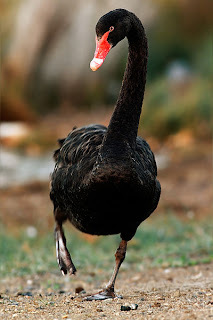 "All swans are white" is a falsifiable claim – it could be proven wrong. The demarcation problem (or boundary problem) in the philosophy of science is about how and where to draw the lines around science. The boundaries are commonly drawn between science and non-science, between science and pseudoscience, between science and philosophy and between science and religion. A form of this problem, known as the generalized problem of demarcation subsumes all four cases. After over a century of dialogue among philosophers of science and scientists in varied fields, and despite broad agreement on the basics of scientific method, the boundaries between science and non-science continue to be debated. Can we be through physicality such a place, through which "a point" can be expressed, as the space in which we live? Three-dimensional space is a geometric model of the physical universe in which we live. The three dimensions are commonly called length, width, and depth (or height), although any three directions can be chosen, provided that they do not lie in the same plane. In physics and mathematics, a sequence of n numbers can be understood as a location in n-dimensional space. When n = 3, the set of all such locations is called 3-dimensional Euclidean space. I mean the borders with which perspective is guaranteed is to fill, is to which all life evolves around, is the perception that is limited to a defined space given through which that point becomes nothing more then the regurgitation of all their own parameters with which the individual builds their own confines? This is what is funneled into their way of thinking, yet out of complexity, such individuality is using the same system with which one can explain universality? How large is your universe? I presented the idea of Entheorizing as an example of what can be placed over top of Pascal's triangle of possible numbered systems so as to be defined "as a funnel of a parameter spaces" complex and chaotic indeed that can be moved down through a point to a defined position? Yes Pascal has been of quite interest to me as well. The Galton Box is a interesting correlation in thinking as to outcome? Some might use mountains and pebbles...others still out comes as numbered systems as to the way in which the world expresses itself. It's Lowest Energy State....Matter Formed?